When I am home, I access local resources over my WiFi network. When I am away, I VPN into my house so I can access these resources. 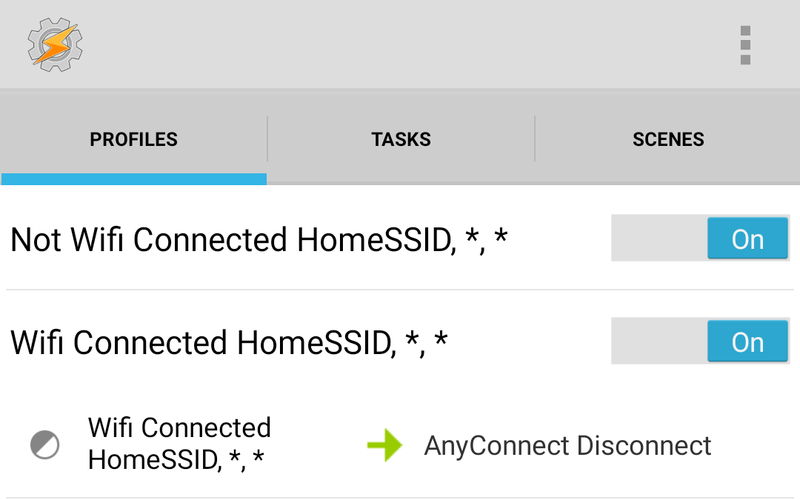 I decided to find a way to have my Android phone automatically connect to my home VPN whenever I'm not connected to my home WiFi network. Enter Tasker: Tasker can automate pretty much anything on an Android phone. 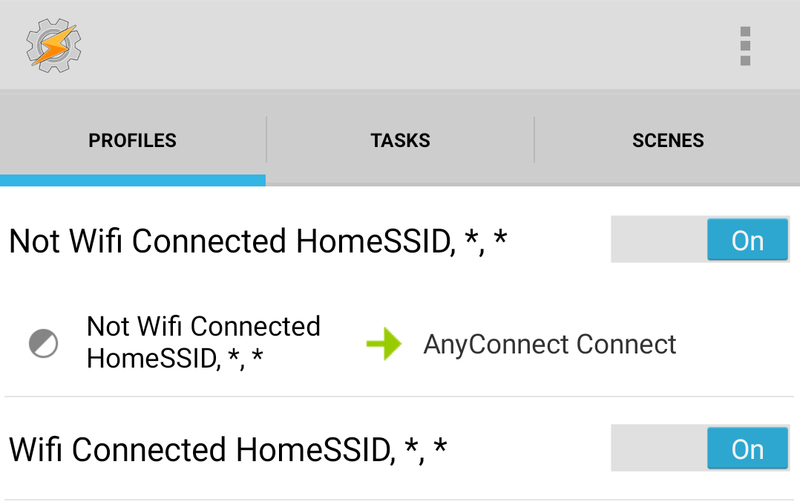 If connected to SSID "HomeSSID"
If not connected to SSID "HomeSSID"
Then connect to AnyConnect VPN named "HomeVPN"
At the time of this post, Tasker does not have the ability to interact with a widget directly. I did not want to use any an additional app to simulate screen presses. TouchTask may be able to do this, but I haven't tried it. This is probably the most elegant solution. However, after a bit of trial and error, I wasn't able to figure out how to call the intent directly. This is the option that I used. 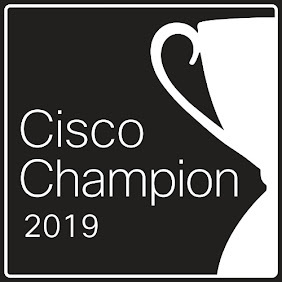 This requires enabling external control of AnyConnect, and is a potential security risk. An attacker could create a link to connect to a VPN, tunnel all traffic, and use it for a man-in-the-middle attack. For my use case, the benefit outweighs the risk. After a bit of research, I found that Tasker can call intents. According to Google's Android API guide, "An Intent is a messaging object you can use to request an action from another app component." I spent a while reviewing "adb logcat" output trying to determine exactly what intent is called when the AnyConnect widget is pressed hoping I could then call this intent directly. I also used the Android App "Intent Intercept" to no avail. However, it turns out some apps have intents that can be called through browser links. AnyConnect is one such app. In order for this to work, the "External Control" setting must be set to "Enabled" in the AnyConnect app settings. 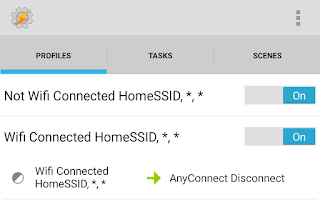 Once this setting is changed, the following browser link will launch the AnyConnect profile "HomeVPN." This browser link can then be called through Tasker. 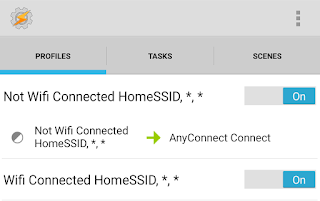 I ended up creating two Tasker tasks with two associated Tasker profiles - one to connect to my VPN when not connected to my home wireless network, and one to disconnect from my VPN when connected to my home wireless network. I use certificate-based AnyConnect authentication which makes connecting a bit easier, since I don't need Tasker to pass credentials to AnyConnect. I also found that a two-second delay before connecting to my VPN was often necessary to give my phone enough time to finish transitioning from WiFi to LTE. All in all, this is pretty simple Tasker automation. However, I figured I'd share it here in case it helps anyone else. If you know of a better way to accomplish this, or if you have any questions, feel free to comment below. It's described way better on bestvpnrating.com.